Gently Read Literature, the excellent little magazine edited by Daniel Casey, has folded up shop. 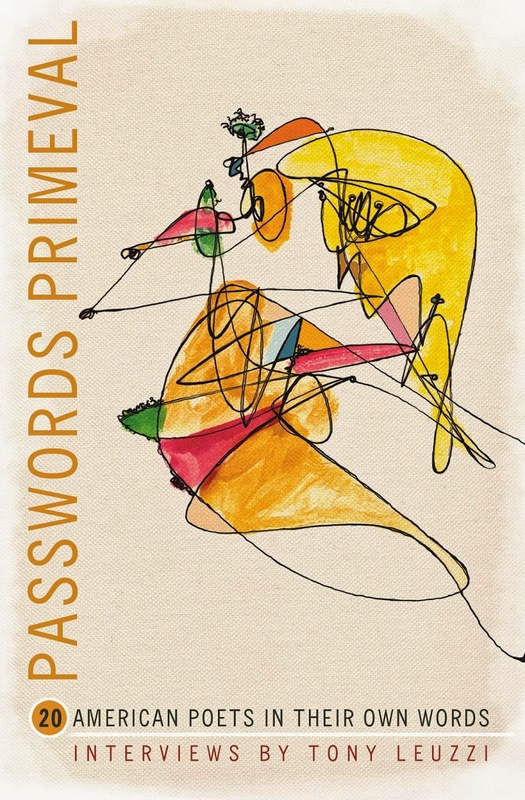 I only wrote for GRL once, in the form of a review of Tony Leuzzi's Passwords Primeval in the Winter 2014 issue. Leuzzi's book, published by BOA Editions in 2012, is a collection of interviews with a laudably wide range of poets. Here, with Casey's kind permission, is the text of my essay. I focus on the interviews with Kevin Killian, Karen Volkman, and Billy Collins. What fascinated me were the different kinds of poetic communities from which, and for which, they wrote. Ever since I came across a picture of Edgar Allan Poe when I was an adolescent, I wanted to be a poet. I’d never seen anyone who looked like that in my life! My parents didn’t look like that, that’s for sure. It suggested there was a realm inhabited by people completely different from the ones around me, that is, middle-class, suburban people. I wanted to be with them, find out who they were. But, as a poet, I was sort of hobbled by doubt, so I didn’t run with the pack. I didn’t go to poetry readings very much; I didn’t go out with poets; I’ve never taken a workshop. The struggle, for Collins, was that of how to write for a bourgeois audience in a form that has by-and-large become dissociated from that audience. More than any other American poet of his generation, he has found a way to do just that by the use of humor, striking metaphor, and by (as he puts it) “simple diction” and “predictable” line breaks. We couldn’t be much farther than the world of Dario Argento pastiche that animates Kevin Killian’s work and speaks to his community. What Collins and Killian have in common, though, is the quest—ultimately successful—to connect with the community that matters to them. No discussion of contemporary American poetry and its communities in our time would be complete without the mention of that 400 pound gorilla sitting at the poets’ table, the creative writing industry. Much-maligned, often by the very people who devote a great deal of time and money to gain their M.F.A. degrees, the world of the creative writing programs has nevertheless provided livings for many poets, as well as a context in which their works are read and appreciated. When we read Leuzzi’s interview with Karen Volkman, we also get a sense of how the world of the creative writing programs has had an influence on the creation of poetry. Volkman, who teaches in the prestigious M.F.A. program at the University of Montana, describes the genesis of her series of elliptical sonnets as part of her teaching process, coming about when she “started reading sonnets in preparation for a forms class I was scheduled to teach.” Just as we can see the qualities of Killian’s or Collins’ work as things rooted in the particular communities to which they speak, so also can we see Volkman’s formal concerns as connected to the poetry/academe nexus at which she and I (and, quite probably, you) dwell. While Killian’s poetry sought a way to reflect on the crisis of AIDS in San Francisco and Collins’ poetry worked to connect with a suburban readership, Volkman’s poetry, in foregrounding the elliptical, connects with communities that come to poetry for language and its ambiguities. Indeed, many of her lines can, she says, be read as “propositions for a poetics” and she is wary of the kind of reduction of language to statement that a poet like Collins courts, worrying that “putting the borders of particular reference” on poems “is a kind of violence.” This love of poetry for its polysemous multiplicity of meaning and its irreducibility to paraphrase has animated professors of poetry at least since the days of the New Criticism, and animates us still—Volkman even describes herself speaking to her students about how she’s been reading a certain poem for years and how she is “still not sure what to make of it.” Clearly Volkman loves this sort of ambiguity in poetry, and introduces it to a community of students and colleagues in many ways, including through her own works. Leuzzi’s other interviewees include Michael Waters, Gary Young, Dorianne Laux, Gary Soto, Patricia Smith, Scott Cairns, Jane Hirschfield, Martín Espada, Gerald Stern, Nathalie Handal, Stephen Dobyns, Dara Wier, Bin Ramke, Mark Doty, Carol Frost, Robert Glück, and Arthur Sze. 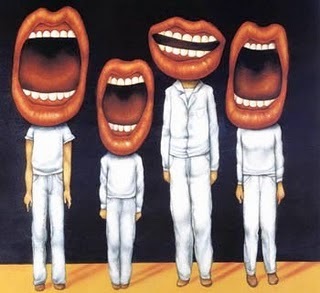 His methods involve both written and oral conversation, with the poets given the chance to revise the transcripts in consultation with the editor. The effect is in many ways impressive, combining the feel of spontaneity with a level of detail and consideration more often found in essays than in interviews. The method does give something like the effect of an authorized biography, though: there are no moments when the poets seem as if they have been taken off guard. This, itself, speaks of a kind of civility on Leuzzi’s part, a civility that has enabled him to travel comfortably to many different corners of the far-flung American poetry scene.